NOEL BALDEWIJNS BELGIUM He completed degrees in Chemistry and Tax Management, and spent most of his life working in the European financial industry. During the last part of his professional career, Noel travelled a lot in different Eastern European countries, where he started discovering his passion for photography. 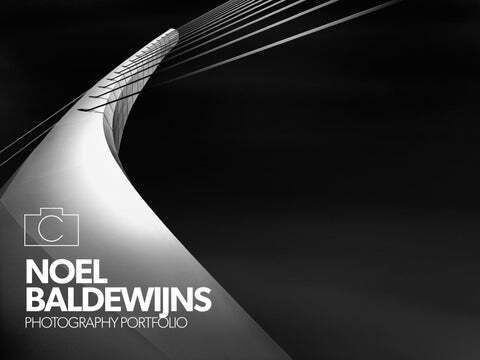 Once retired in 2011, he was able to fully pursue this passion, focusing on black and white imagery of architecture. He pursued a formal education at the Academy of Fine Arts in Heusden, Belgium, and individual master classes taught by different fine art photographers to further enhance his skills. Noel gets inspired by an ability to create an image of a building that creates a mystery and mood surrounding that building. He uses his imagination and state of mind that day to create the image, and enhance it. His favourite architects are Calatrava, Gehry and Foster, and he travels all of Europe to be able to photograph their designs. Calatrava inspires him because of the ‘lightness’ surrounding his designs, almost like the buildings are flying away. Gehry caught his eye because of his swinging constructions, and Foster for his clear, light architecture. His most inspiring photographer is Alfred Stieglitz.